What would be the best width to fit the schwalbe marathon tour 700x37 please? You would need to use the 45mm option. Is there enough clearance on the 35mm version for a 28c tyre. Although a 28c tyre would be the widest we'd recommend with 35mm guards, you should still have enough clearance to fit them. 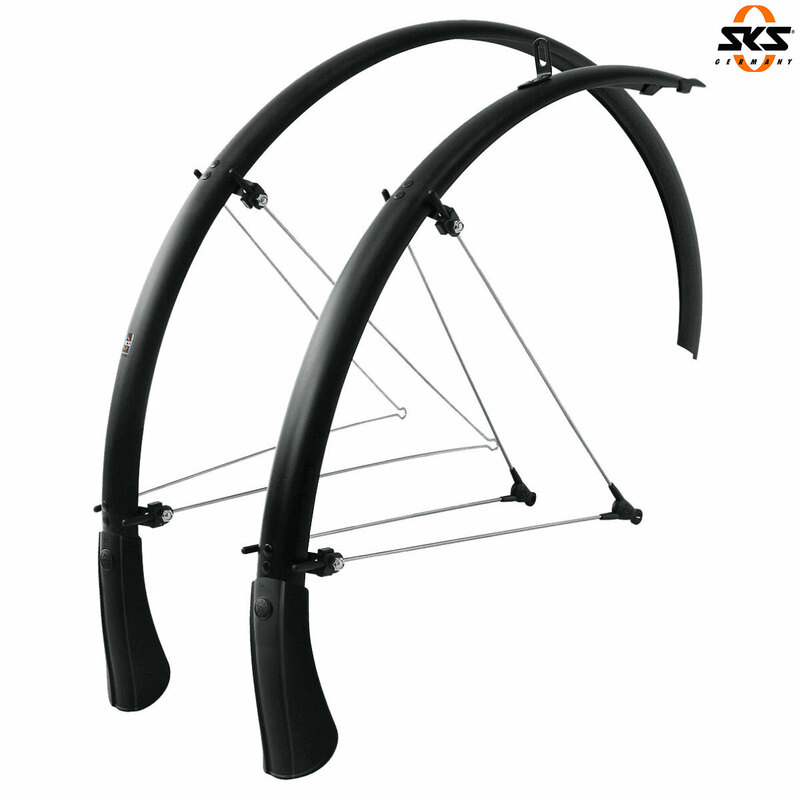 Do These Mudguards Come Complete With The Mudflaps? Are the mudflaps included on this product? The two mudflaps are indeed included with these mudguards. Is The Fender Profile Round Or Similar To Chromoplastic Version? The 35mm width is round in shape, but the larger sizes are more similar to the shape of the Chromoplastic mudguards. If so, is there a long bolt to go through the fork crown and angle bracket of the front fender? These do come with a large array of bolts for fitting, but they do not come with a bolt long enough to pass all the way through the fork crown. They are designed to fit to the bolt of a calliper brake or use one of the bolts supplied to fit into a fork crown that is threaded.